I'm not exactly sure I'd call what's going on in my life a reading slump, but for whatever reason, I don't seem to be reading at my usual pace. And that lack of reading naturally affects my blog. I am really struggling right now to read more than a book a week, and therefore I am hard pressed to write a review a day. Heck, I'm having a hard time just writing a post a day! I know that part of the reason is that I'm just in a reading funk. I am desperate to find a really good book that I don't want to put down. So if you have any suggestions, I'd love some! In addition, I'm finding that I'm easily distracted with other on-line material. I think I read every story out there about the Penn State scandal and I've also discovered Pinterest which is a huge time drain. Add to that, I've been a single parent for the past four out of five weeks, I've been doing lots of Christmas shopping, and I'm trying to remodel my kitchen. I'm not trying to make excuses, but I'm just trying to explain why my blog is looking a little different this month. 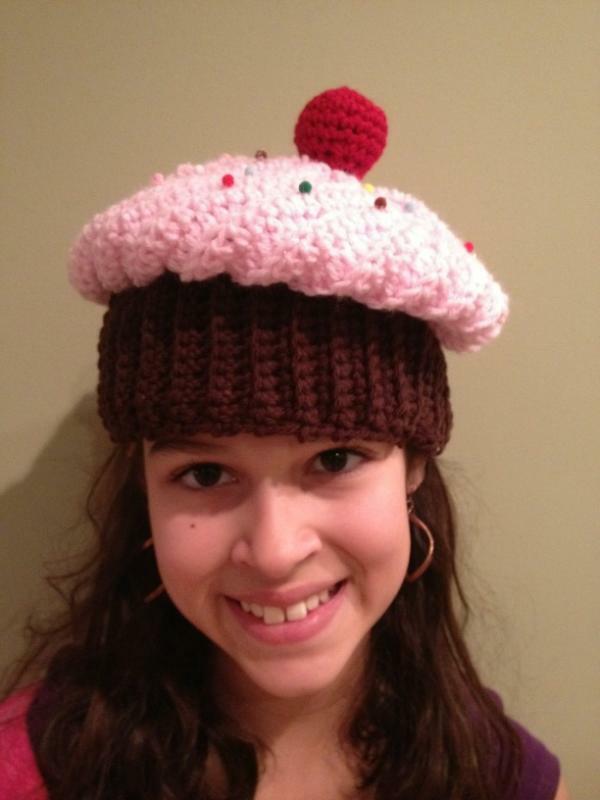 A cupcake hat for Booking Daughter's friend. She doesn't want to part with it! 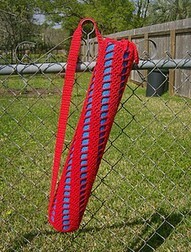 Three yoga mat bags in variegated yarn. Two dozen of these glitter ornaments for gifts. 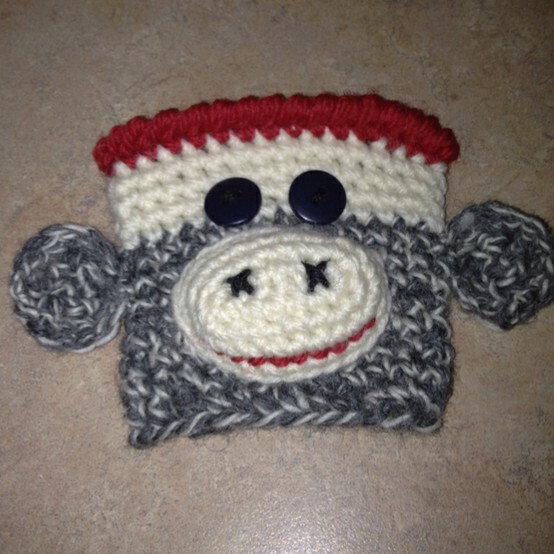 And my favorite.. a sock monkey cup cozy! So while I am reading less, I still have some things to show for my time! Please bear with me over the next few weeks until my life calms down and things get back to normal around here! I hate reading slumps. I usually go for something light, fun and short when I am in a slump. Being able to say I finished a book sometimes help me get motivated again. I love that sock monkey cup cozy! You are very talented! There are just too many distractions this time of year, but it looks like you've been putting your time to good use. I love the projects you've created! Sounds like you have a lot on your plate right now! And you've done a lot of wonderful crafting! I'm having a hard time reading books and finding posts myself, so I feel for you. I was already having trouble keeping up my usual pace before my gram died, but now I'm still so exhausted from the trip home that I can barely stay awake on the train or at home! Ah well. If you want a quick and good read, I always reach for Jill Mansell. I think we are all falling behind with reading and blogging. It is that time of year. I am not sure how you have time to pick up a book just with all those fab craft projects on the go. I used to knit but find I only have time to read now. It is all totally understandable from my perspective. My husband has been away too, and there are the holidays and all the projects and parties that come with that. It is insane. My big issues these days is the writing slump I am in. I am so far behind on my reviews, I wonder if I will ever catch up. I just have to hit a creative streak then ride that wave, if it ever comes! You aren't alone! I'm in a bit of a reading slump as well. If I only I were as productive as you during said reading slump! Well I am busy enjoying all your pinterest posts so I don't feel like I'm missing anything! :--) And you find the most decadent stuff! Don't force it, just enjoy your other projects. There are lots of nice knitting novels out there - try and find one of them and it might help you transition back to reading. Looks like you have been a busy girl! I am afraid I am entering a slump right now too. I am trying my best to stave it off! I think you're being too hard on yourself! Doing other things besides reading is good for you. And crafts, especially. Your book slump will pass, and if you read less for a while, maybe your mind and body is just telling you to slow down. That's okay too. I know what you mean...I've also been trying to focus on some knitting and crocheting projects. It's not like we are unproductive right? I'm struggling too -- not so much from a reading slump but from the call of my offline life. Look at those great projects you've done!! Fantastic! You sound like the most productive person in the world to me. I recently was completely swept up by Heidi Durrow's The Giri Who Fell From the Sky. A page turner and that sounds like what you need. I forgot you crocheted! Love the cowl it is gorgeous and looks so cozy. the hat came out cute too! I struggle to fit knitting and reading in as well. sorry about the slump. I had a short run of books that were meh. I hope the next one you choose is a winner.